Angry Birds Transformers is a fast paced side scrolling game with plenty of in-game action elements and the gameplay is different from the previous angry birds installations as it packs a brand new shoot'em up style instead of the original slingshot gameplay. 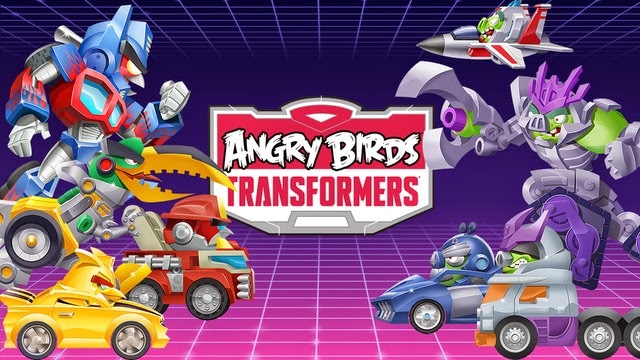 In Angry Birds Transformers the birds are disguised as Autobirds and the pigs as Deceptihogs, Some of the popular characters include Red playing as Optimus Prime the leader of Autobirds, Stella as Arcee and Chuck as Bumblebee. The game packs many engaging levels and you can collect may power-ups and also collect coins when you complete a level and the coins can be used to customize your character. After installing the software open the emulator and search for "Angry Birds Transformers" and install the game. If the game isn't available from the search tab then you can download the APK file of Angry Birds Transformers and install the game.